Our award-winning Sharp photocopiers and printers are designed with user-friendliness & business functionality in mind. 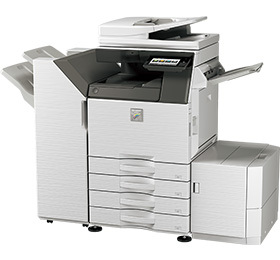 Sharp copiers truly provide seamless integration in the workplace. *Please note images may show machines with or without optional extras, eg. Extra paper trays, finishers, etc. 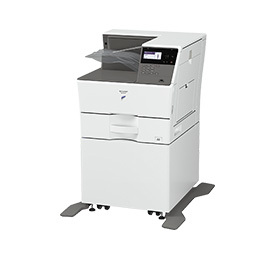 Whether you’re printing, copying, or scanning, the AR6023DV makes document management easy for everyone in the office. Core document functions are complemented by a range of useful advanced functions. 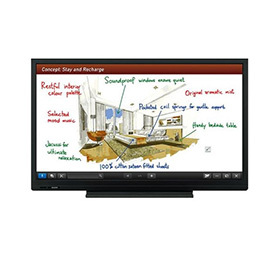 Sharp’s next-generation full-colour MX-3050V MFD is packed with state-of-the-art technologies that add new value to your workflow. 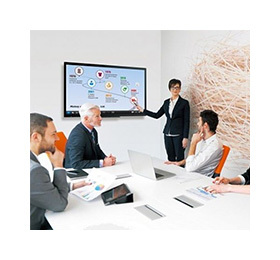 The MX3051 Colour MFD turns your place of work into a smart office. 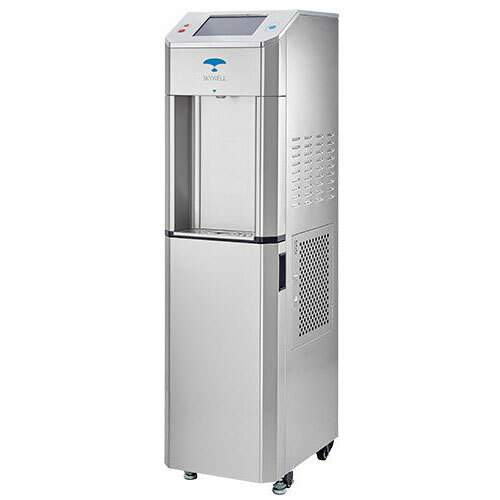 Quick and easy to operate, it packs convenient innovations that boost productivity. What’s more, it securely integrates with cloud services and network applications to expand document functionality. The full-colour MX3060/4060V is built to handle the demands of today’s fast-paced office environment. Its intuitive user interface gives you direct access to your most-used operations, so everyone on your team can get their tasks done faster. Getting things done fast shouldn’t mean compromising on quality. These next generation MFDs give you the best of both worlds. 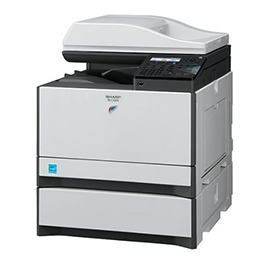 The full-colour MX3061/4061 are built to handle the demands of today’s fast-paced office environment. 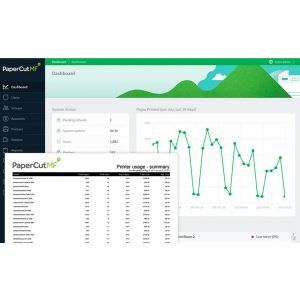 Its intuitive user interface gives you direct access to your most-used operations, so everyone on your team can get their tasks done faster. No matter the size of your business, the versatile MX3070/3570/4070V improves everyday workflow and efficiency. This is one MFD that perfectly balances advanced technology with superb ease of use. Its Easy UI mode and intuitive controls give you quick and easy access to the functions you need. Thanks to its exceptional productivity, this fast, reliable MFD will help you grow your business. The powerful performance and intuitive control of Sharp’s enterprise devices have been recognised with the prestigious Buyers Lab PaceSetter award. 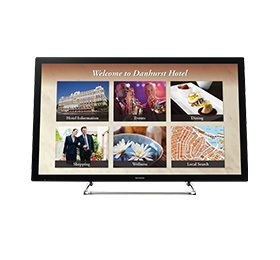 Our A3 colour Multifunction Devices (MFDs) build on these capabilities with their enhanced feature set and superior functionality. With its advanced technologies and output speed of 50 ppm, the full-colour MX5070/6070V is built for the ever-changing needs of your on-the-go office. Its Easy UI mode lets you intuitively operate a variety of functions driven by cutting-edge technologies. 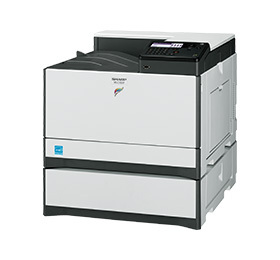 The Sharp MX-6580N is the versatile full-colour document powerhouse you’ve been waiting for. Its superb range of features give you the power to streamline your office workflow while maintaining consistently high document quality. 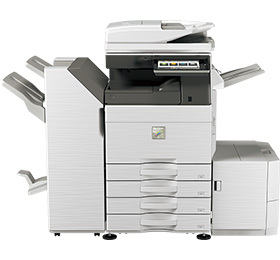 The MX-7090/8090N is built for fast, high-volume printing in large-scale settings. Whether at a large company, government office, university, or research centre, it produces beautiful colour documents with ease. 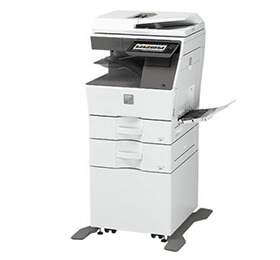 The MXB350W is a compact and versatile B&W document solution that adds real value to any workplace. Compact, streamlined, and packed with document functionality, the MXB455W next generation A4 MFD fits seamlessly into any business setting. Stylishly compact and designed for high performance, the MX-C300W are sized and equipped to suit any business setting or application. This handy A4 solution delivers full-colour performance and four-function efficiency right from a desk or countertop—without taking up valuable floor space. Whether in a corporate data centre or a high-volume CRD*, Sharp’s MX-M1055/1205 stands out as a high-performance MFD you can count on. This light production powerhouse pumps out 105 ppm of pristine B/W documents in ultra-fine 1,200 dpi detail. 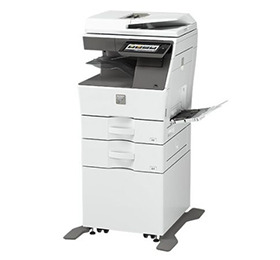 The MX-M2630 gives your enterprise the advanced document capabilities you need to succeed. This B&W MFD shares the same design concept and user-friendly UI of Sharp’s latest colour models. 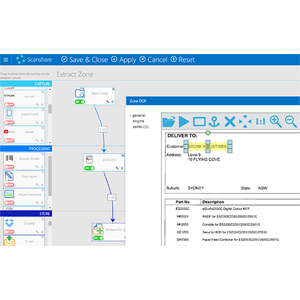 So complex tasks are made simple—something everyone on your team will appreciate. 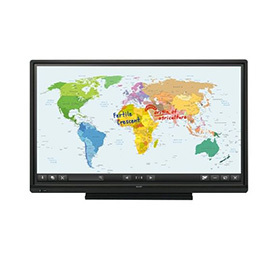 Sharp’s MX-M266NV delivers the ideal balance of high performance and exceptional ease of use. 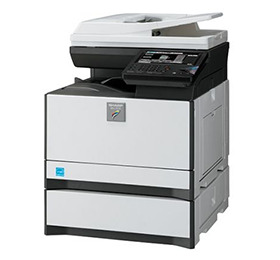 Shift your enterprise up a gear with these forward-thinking Sharp Photocopiers. This standout black-and-white MFD boasts the same design concept, user-friendly UI, and advanced functions that you see on Sharp’s latest colour MFDs. It’s packed with carefully considered features to help you create, manage and share documents. 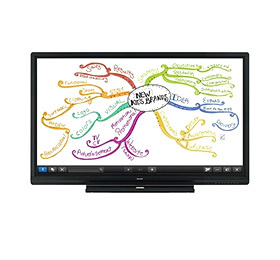 The high-performing MX-M754N boasts everything needed to bring exceptional document workflow, brilliant image quality, and intuitive ease of use to even the busiest workplace. Built for reliable, energy-efficient operation, this versatile solution also offers meet-your-needs expandability. The user-friendly Sharp MXM6570/7570N is a brilliantly versatile B&W document solution for the modern office. Flexibility is in the DNA of this MFD—you can configure it to fit your office needs exactly. Looking for a superbly versatile B&W document powerhouse to streamline your office workflow? 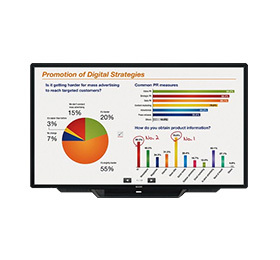 The user-friendly Sharp MX-M905 puts an outstanding array of the latest features at your fingertips. Features that deliver consistently superb document quality. Our second hand photocopiers are fully refurbished to factory standard, offering a cost effective printing solution for your business. 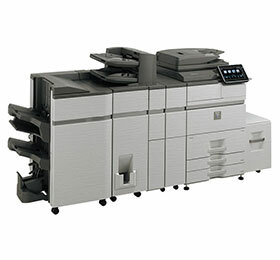 These machines commonly feature colour A3 printing and scan to email/PC folder.